Back Beat Seattle | Show Preview: Back Beat Seattle Anniversary! Show Preview: Back Beat Seattle Anniversary! We’re turning one this March and to celebrate we want you to join us as we celebrate at the Blue Moon on Friday, March 12th. 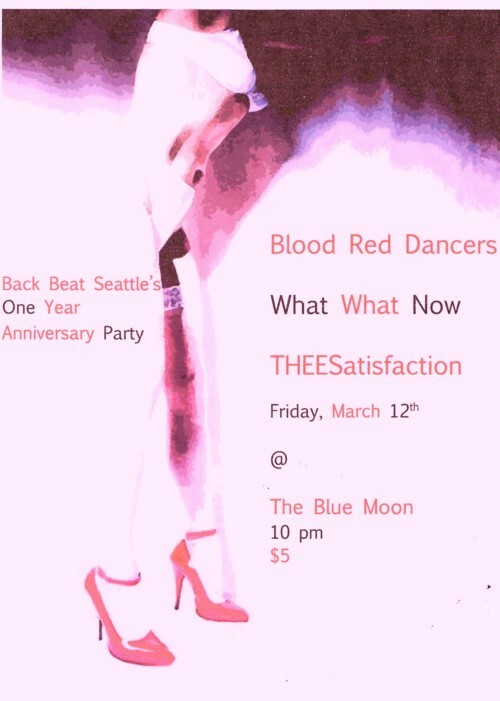 There will be sets by awesome Seattle bands, Blood Red Dancers, What What Now & THEESatisfaction. Written by: Dagmar on 03/02/2010.